Part of Honeywell's family of self-contained wireless controls, the LYNX Touch 7000 control panel features a bright, 7" full-color touchscreen with graphic icons and intuitive prompts for easy operation. It features on screen video, garage door notification and control, tornado alerts for U.S. and Canadian residents, Z-Wave® automation capabilities and advanced alarm communications. 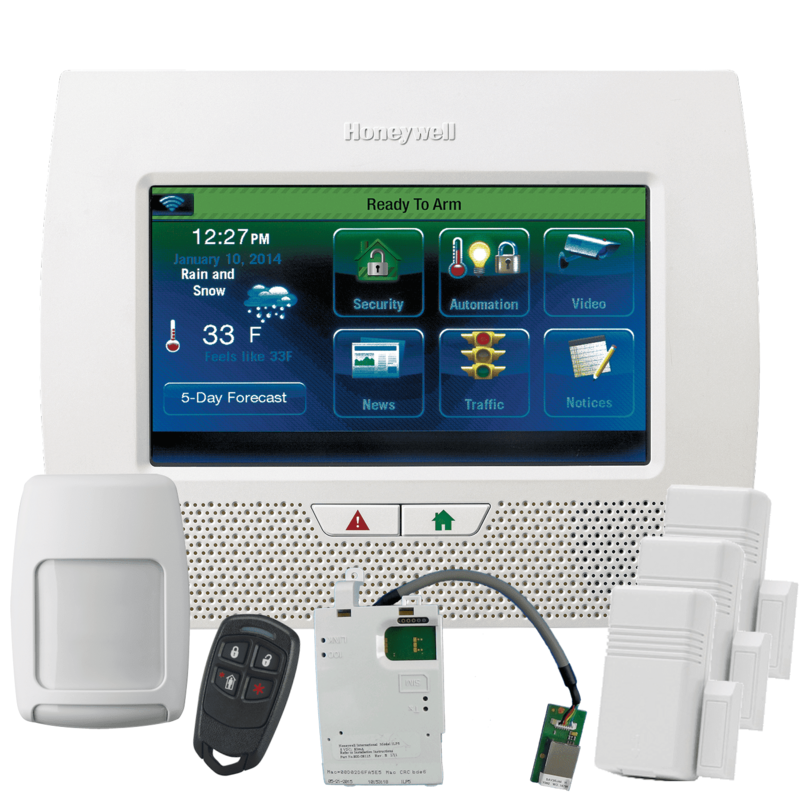 The Honeywell L70-KT118 is a broadband internet wireless security system kit that includes; LYNX Touch 7" touchscreen control panel w/battery and transformer (L7000), broadband internet alarm communicator (ILP5), three door/window contacts (5816WMWH), motion detector (5800PIR-RES), and a 4-button remote keyfob (5834-4). Honeywell's L7000 Total Connect App, provides consumers with the ability to use an iOS or Android device to view video and operate the system on premises. The Z-Wave® connectivity module lets installers integrate security, lighting, thermostats, water valves and more for local and remote control. With Honeywell Total Connect™ Remote Services, users can control security, thermostats, lighting, locks, receive alerts and more from most smartphones, tablets and computers.